Brushing and flossing are the two best ways to remove plaque. While brushing can help to remove it on the teeth, flossing helps remove it between the teeth. When you can’t seem to get rid of it all, regular teeth cleanings can handle it for you. Preventative care can save you a lot of money and time in the future. When you attend regularly cleanings at least every 6 months, we can spot out potential problems ahead of time so they don’t become worse later. Keep the health of your teeth in great condition with our expert help. Visit us twice a year for quality dental cleanings to help maintain your smile. Get complete preventative care for your entire family. 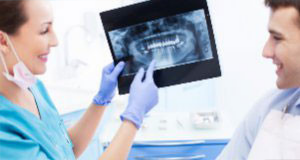 When you come in for preventative care, you also get expert advice on nutrition and maintaining the health of your teeth so you can avoid major dental work later. Keep your teeth looking great at all times. During your preventative care, when a problem is spotted, you have lots of options to treat it. Not only do we handle your restorative care, but you can even get a range of cosmetic services to make your teeth look even better.